We all know the importance of having a social media presence. As a business, social media can provide an opportunity to showcase your products and offer an authentic look inside your company. Social media is not as intuitive for service-based companies. Since you are not selling a product, it is not as easy to come up with consistent content to share. Featuring your services on social media works, but you really need to have a meeting to close a deal. Similarly, your team is also less likely to be out at trade shows or on the road doing things. Like our team, service-based teams mostly sit in the office, behind their computer or on the phone. There is only so much of that type of content you can post before it becomes boring! But there is a way to make it work. To make your social media work, you need to begin looking at social media as a tool to communicate. See it as a virtual community full of existing clients, team members, and prospects waiting to hear from your business. Use social media to share everyday moments. Without knowing it, you already have fantastic content waiting to be used right in your inbox. For example, that friendly email you send to a client once in a while stating “I thought of you when I read this,” could be posted to social media instead. Take that blog you would have sent to one person, share a couple of thoughts as to why this is relevant and who would be interested in it and you have yourself a post! Focus on telling a story, not selling. At KWSM: a digital marketing agency, we are big believers in telling a story. We recommend keeping your salesy content to a minimum and avoid mentioning pricing or offers at all. Also, if you can, take your own photos and videos that complement your stories. Blogs/articles: Provide advice and insight into relevant topics. This helps your team learn and shows your prospects your expertise. Case studies: Sharing a success story showcases your results to prospects while clients learn about additional services you could offer them. Highlight the team: Every time you hire new people, share that with your audience. Other things to celebrate include milestones like work anniversaries and birthdays. If you have donuts in the office, take photos and share it. Not only does this bring your current employees closer together, but it also attracts new talent to join the team. Now, before you forward this blog to your team, instructing them to start posting on social media, we recommend you first prepare a strategy. Like any initiative, you first need to determine your goals and methods, and what you will measure to determine if social media is working for your business. 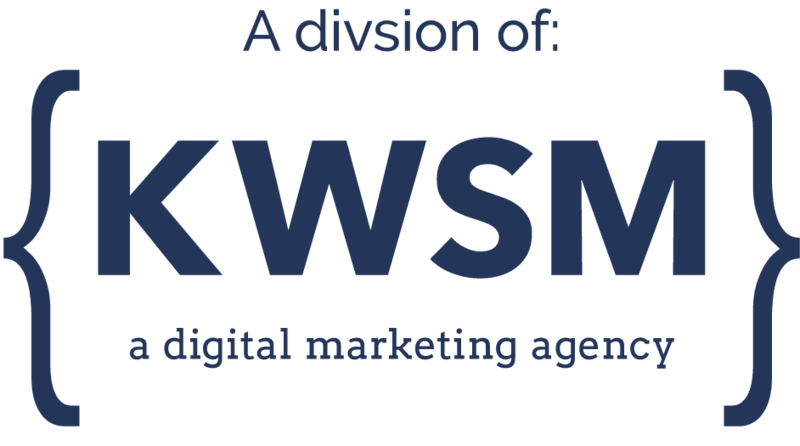 If you are interested in having KWSM: a digital marketing agency to help you with your marketing strategy please contact us. Professional services industries are publishing the most video content. In order to compete, you need to be creating higher quality and more helpful content. 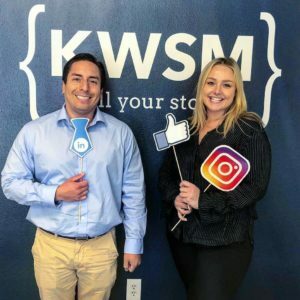 KWSM has an in-house video team that will help give your brand a human face to help generate the results you’ve been looking for.